A sociodrama is a dramatic play in which participants enact assigned roles for the purpose of studying and remedying problems in group or collective relationships. It was developed by J.L. Moreno as a way to use role-play to increase one's depth of understanding of a shared social concern, gain new perspectives, practice new roles, and discover new insights while building connections in a group. Sociodrama has a myriad of applications such as exploring issues of collective trauma, current events, social problems, prejudice, interpersonal tension, justice and rehabilitation. It has been used world-wide in settings such as education, business, diversity and job training, personal growth groups, social movements and community building. In this workshop, we will demonstrate multiple sociodrama directing structures and discuss when each is appropriate. We will teach the three phases of sociodrama: warm-up, action and sharing and address how to be respectful of confidentiality in non-therapeutic settings. Participants will develop and conduct a sociodrama warm-up and practice role reversal, doubling, role development and role-play. Join us and expand your awareness, gain new perspectives through encountering collective roles, and learn new sociodrama skills. Fee: $325 by 5/17/19; $375 after. Students/Interns: $275 by 5/17/19; $325.00 after. Fee fully refundable until 3 weeks prior; 50% refundable thereafter; No refunds 5 days before training. Send a check made out to: Sylvia Israel, 1924 Fourth St, San Rafael, CA 94901. Students will learn the basics of designing and directing a sociodrama. Amna Jaffer has been teaching graduate and undergraduate courses in the Department of Counselor Education at San Jose State University for over ten years. After receiving a Master's degree in Education from San Jose State University in 1997, Amna went on to obtain certification as a Practitioner of Psychodrama in 2000. In 2007 she was certified as a Trainer, Educator and Practitioner of Psychodrama. In addition to teaching, Amna is committed to developing peer education best practices, training gatekeepers in QPR suicide prevention, and in developing pedagogical practice incorporating collaboration, integration and experiential learning. Sylvia Israel, MFT (mfc #31245), TEP, RDT/BCT, is a nationally certified Psychodrama Trainer, Educator, Practitioner (TEP), Registered Drama Therapist/Board Certified Trainer (RDT/BCT) and Founder/Director of IMAGINE! Center for Creativity and Healing, Founder/past-Director of Bay Area Playback Theatre and Founding member of Bay Area Moreno Institute. 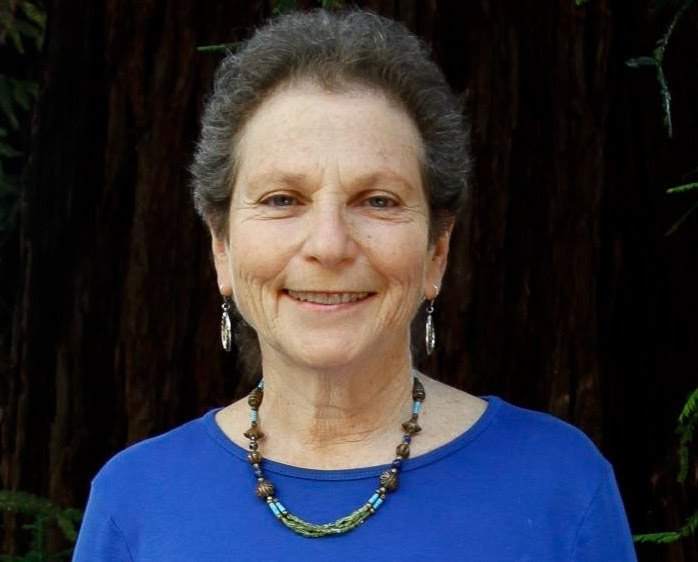 She is adjunct faculty at the California Institute of Integral Studies (CIIS) and has presented at Spirit Rock Meditation Center and professional gatherings nationally and internationally. Sylvia is past President of the Northern California Chapter of the National Association of Drama Therapy. Her work blends verbal therapy, psychodrama and other expressive arts. Sylvia specializes in grief and loss, blocks to creativity, trauma and childhood abuse recovery. She maintains a private practice in Marin and San Francisco working with individuals, couples and families.